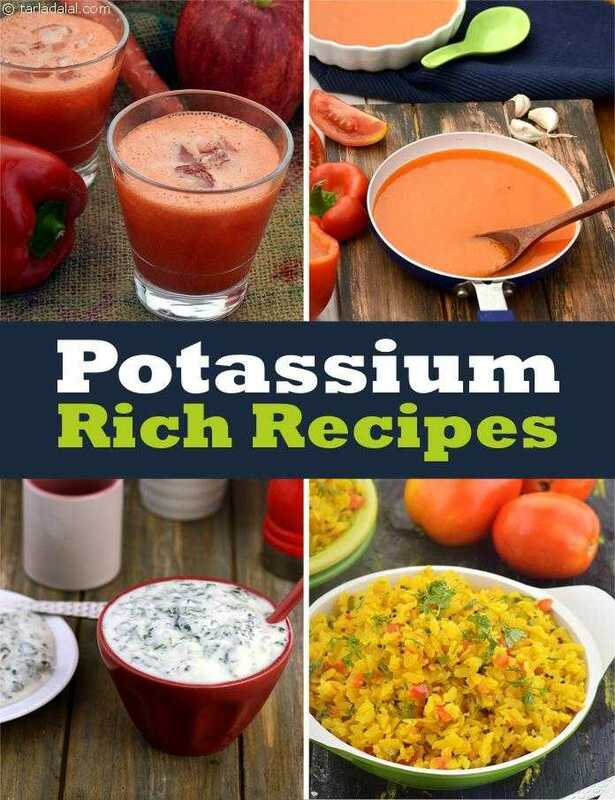 Potassium is an important mineral and an electrolyte required in human body. It is found in all the cells, muscles and even bones. Potassium is critical for those with High Blood Pressure as it lessens the impact of sodium. Eating more Potassium Rich Foods will remove more sodium from your body through urine. So if you are suffering from High Blood Pressure and taking medication, then the medicine works by taking out the sodium and potassium from the kidneys. So you need to up your Potassium intake in this case. Fruits and vegetables are a very good source of potassium. The average adult needs about 4,700 mg (milligrams) per day. Is Potassium safe for all? Those with kidney problems will have to restrict the amount of potassium they intake. 1. Maintain electrolyte or the acid-base balance. 2. Control blood pressure and sustain cardiac health. 3. Promote muscle and nerve function. Potassium Rich Foods list from Fruits, Vegetables and Dairy listed in tables below. 9 Potassium Rich Fruits to include in your diet. 11 Potassium Rich Vegetables you must have. Coconut water is also one of the highest sources of potassium which helps to maintain the electrolyte and water balance in the body. Try few of our recipes like Banana Milkshake Drink, Grilled Sweet Potato, Spinach and Mixed Sprouts Raita, Avocado Salad and Coconut Water with Coconut Meat and maintain good health.